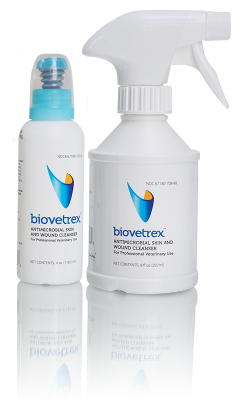 Biovetrex™ is extremely safe and gentle skin and wound cleanser with exceptionally rapid broad-spectrum bactericidal, fungicidal and virucidal properties through the action of antimicrobial sodium hypochlorite. Biovetrex helps in the mechanical removal of the debris and foreign material from the wound or application site. Biovetrex is a very pure, completely colorless, isotonic, tissue compatible solution with a 18 to 24 months year shelf life. The Biovetrex™ formula demonstrates exceptionally rapid microbiocidal action. 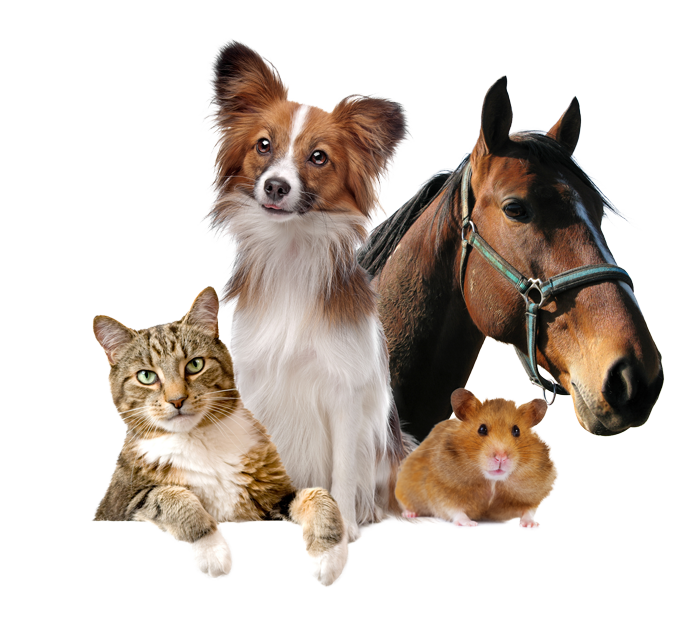 Most pathogenic organisms are killed within 2 minutes or less following application. 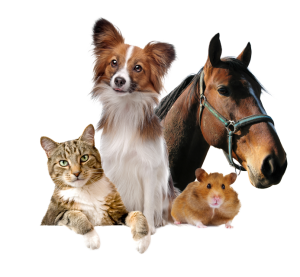 There is no known microbial resistance to Biovetrex™. The Biovetrex™ formula is clinically proven to reduce wound bioburden levels and improve the rate of healing. Click here to see Study. The Biovetrex™ formula has been subjected to rigorous safety testing at an independent laboratory and shown to meet the criteria for safe use. Biovetrex™ does not leave any toxic residues or byproducts. Biovetrex chemically breaks down into salt and water and is completely safe for disposal in the public sewer system. Remove hair from affected site. Spray area with Biovetrex directly or saturate gauze and apply to affected area. Let air dry or maintain as a wet dressing. Remove hair from wound site. Spray Biovetrex onto entire wound bed, including the wound margin. Avoid pooling. Alternate: Saturate sterile gauze pad with Biovetrex and apply to wound site. Cover wound site with a sterile gauze or other appropriate wound dressing. Repeat procedure once a day. Ensure that wound bed remains moist between dressing changes.